Choosing a school is one of the most influential decisions a parent can make for their child. A school should provide a safe learning environment, teach important social skills, and prepare a child academically for the future. Not a decision to be taken lightly, there are several considerations a parent should make when choosing an educational institution. Follow our guide to making the best choice for your child’s education. Special interest schools that may fall into one the former three categories (arts, STEM, or language focus, for example). Examine your family values when making a choice. If your child is old enough, consider asking them what they value, as well. Perhaps they show a certain flair for the arts, the humanities, or the sciences. No matter what your child is talented at, there is likely to be a school that specializes in his or her area(s) of interest. An effective school won’t balk when a prospective parent requests a school tour. Observe the feel of the school. Is it orderly and safe? Do the staff, students, and administrators appear happy and friendly? You may like: What is Initial Coin Offering (ICO) and What You Should Know About it? Prepare a list of important questions before you take the tour. Then, consider whether your tour guide was able to answer your questions satisfactorily. During a school tour, you can learn a lot through simple observation and asking pointed questions. Curriculum: What curriculum is being used for core subjects? Consistency: Inquire about how long the school has been using the curriculum for each subject. Long-term consistency in academic instruction helps ensure that your child will not experience education gaps. Inconsistency is a warning sign. Teaching staff: How much experience does each classroom teacher have? Do teachers tend to stay at the school long-term, or is staff turnover high? For children to maximize their academic success, they need a school that operates professionally at the administrative level and has teachers that works collaboratively to educate, without deviating from the established curriculum. A fourth thing to look for on your school tours is how well students engage with classroom instruction. Do all students appear engaged in their tasks? If some students are engaged, while others seem bored, the school may not offer “differentiated instruction” — a term that means students work at different paces, but that they all feel challenged at their particular level. A high rate of classroom engagement can mean a higher level of learning and success for your child. Make sure that students appear engaged and challenged on your tour. You may like: How to choose the right way if you are a newbie blogger? A high-performing school is also one that has smooth transitions between classes, as students move from one school area to another. An effective school has administrative staff who work together to ensure that certain rules and expectations are in place for moving between areas. Look for orderly conduct in the office area, cafeteria, and between classrooms. Students should seem relatively calm and at ease. Behavioral and safety rules should be posted in a highly visible area. Staff members should be present during transitions. Make sure that part of your tour includes observing students in their “free time”. Chaotic behavior in the cafeteria or hallways indicates that students may be unclear on school rules and expectations, or that rules aren’t vigilantly enforced. You want your child to feel comfortable and calm in their educational setting. 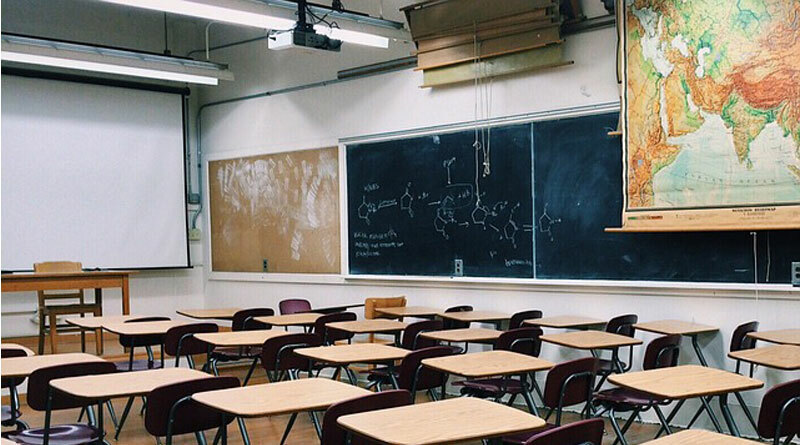 If you’ve narrowed your list of schools to a few candidates, and you’re having a hard to deciding which one to choose, consider offering to volunteer in classrooms for an entire day to get an close impression of how students perform in class and behave in general. Making the final decision for your child can be tricky, but trust your gut — and, most of all, do your research!